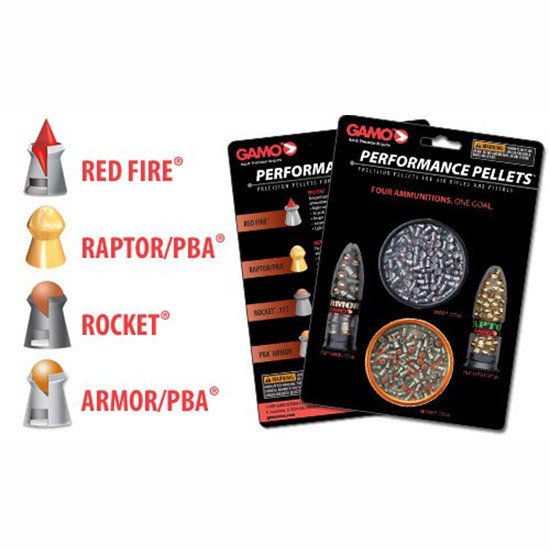 Gamo .177 caliber High Performance pellets combo pack includes RedFire Rocket ArmorPBA and RaptorPBA. The RedFire and Rocket tins contains approximately 150 .177cal. pellets each. The ArmorPBA and RaptorPBA packs contain approx. 50 .177cal. pellets each. Read all manufacturers warning labels.